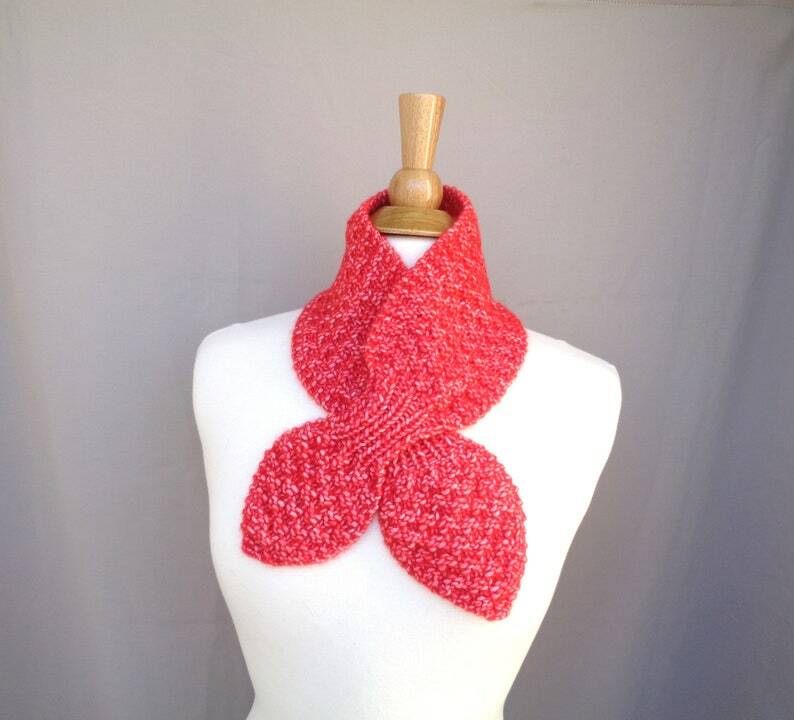 Ascot bow scarf, in a cheery red with a touch of white heathering, very pretty. Hand knit in a soft merino wool/cotton yarn. The small size makes a great neck warmer or accessory for light warmth, the pull through style keeps it in place without worries on shifting or falling off. Great for a chilly office, classroom, walking, or even just to accessorize. Light in weight but still warm - you might not remember you're wearing it! A great gift - Girlpower Knits takes pride (and love!) in creating each of our pieces using the best quality materials.